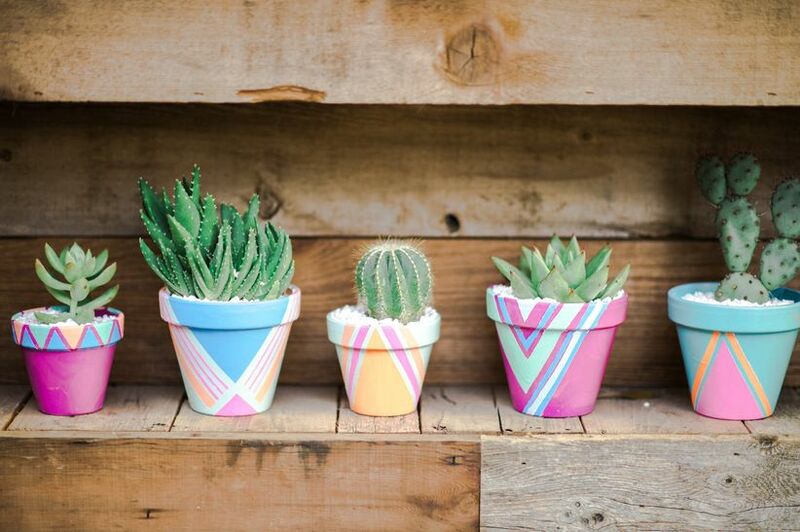 Looking for a way to brighten up your wedding decor? 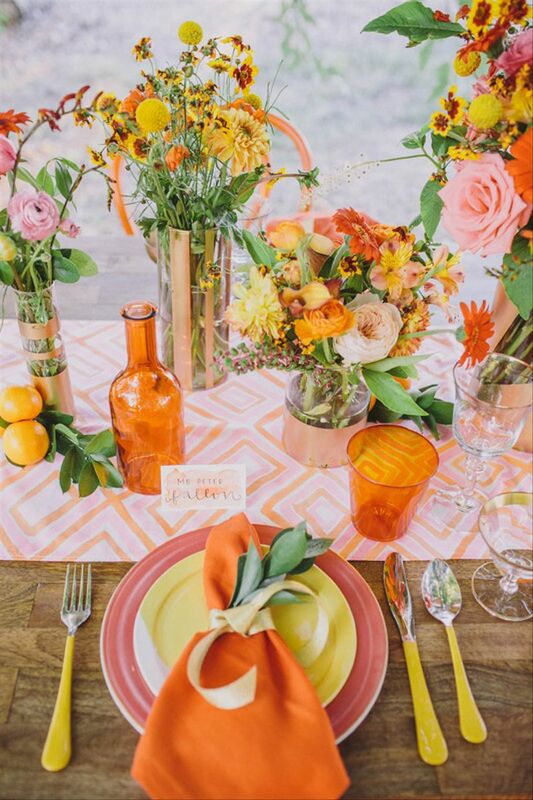 Try these colorful wedding ideas to instantly energize your big day. 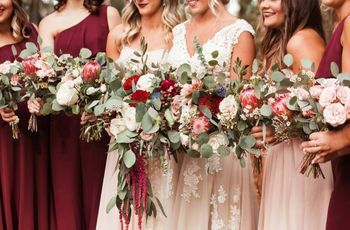 We'll always have a soft spot for the romantic feel of barely-there neutrals and pastel palettes, but we're also digging the recent resurgence of colorful wedding ideas and bold, attention-grabbing details. If your wedding vision is less "ethereal dream" and more "color-filled fiesta" then we think you'll be head over heels for these vibrant, lively ideas. Grab your shades! Here are 20 bright and colorful wedding ideas to add a rainbow of hues to your big day. Decorate your wedding stationery suite with a turquoise, yellow and pink color palette to set an energetic tone for your big day. Don't shy away from wearing colorful shoes down the aisle! We're loving this fierce pair of stilettos, which would also happen to make a great accent as your "something blue." 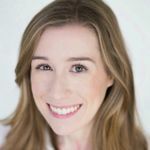 Floral robes and rompers are pretty, but if you're in search of a more unexpected option for your getting ready outfits, colorful cotton dresses are cute and comfortable! 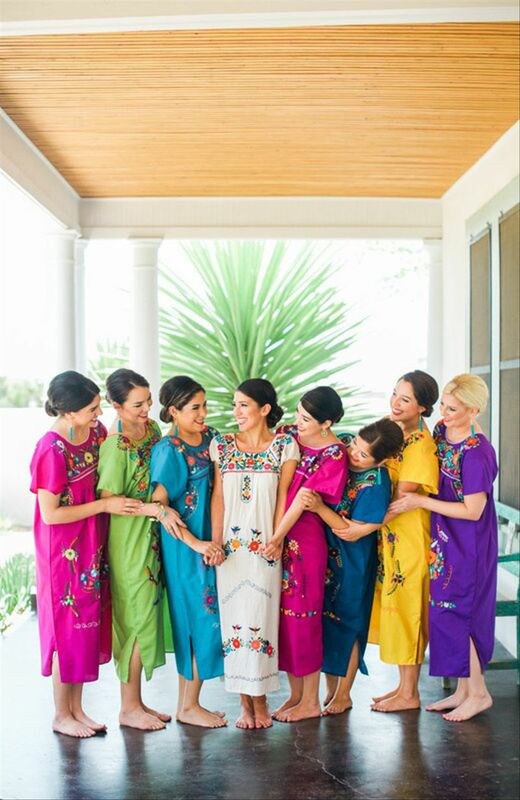 These traditional Oaxacan dresses would be perfect if you're having a destination wedding in Mexico. Proteas are colorful, but they also have a very unique and eye-catching shape! 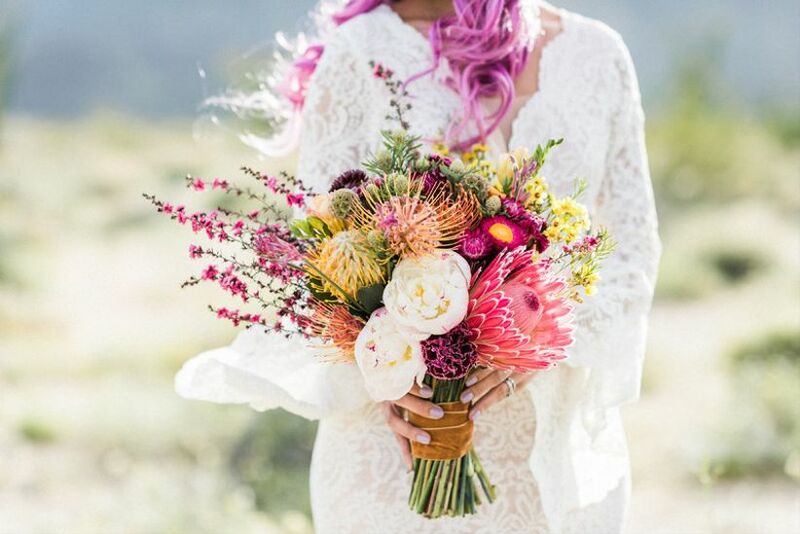 This bright protea wedding bouquet includes the pincushion and pink ice varieties — two of our fave blooms if you're looking to spice up an ordinary arrangement! 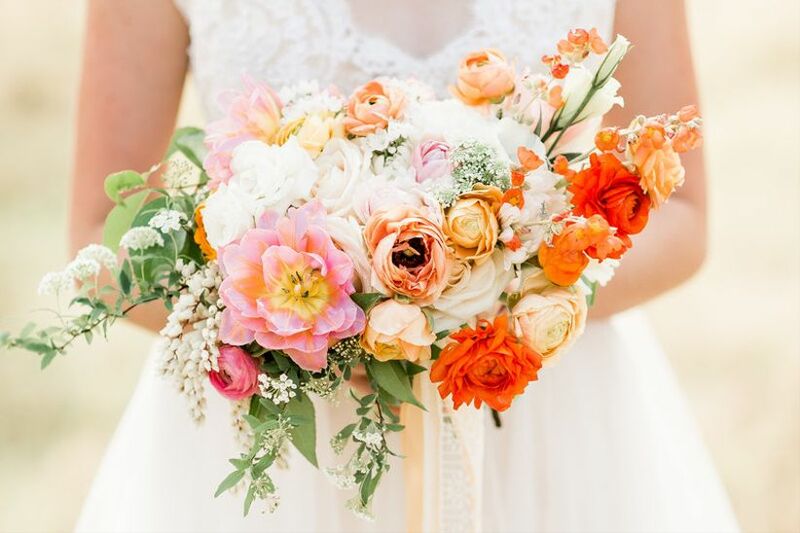 If you're getting hitched in the spring or summer, take another look at this asymmetrical pink and orange bouquet. The combination of ranunculus, roses, and tulips is cheery and whimsical! 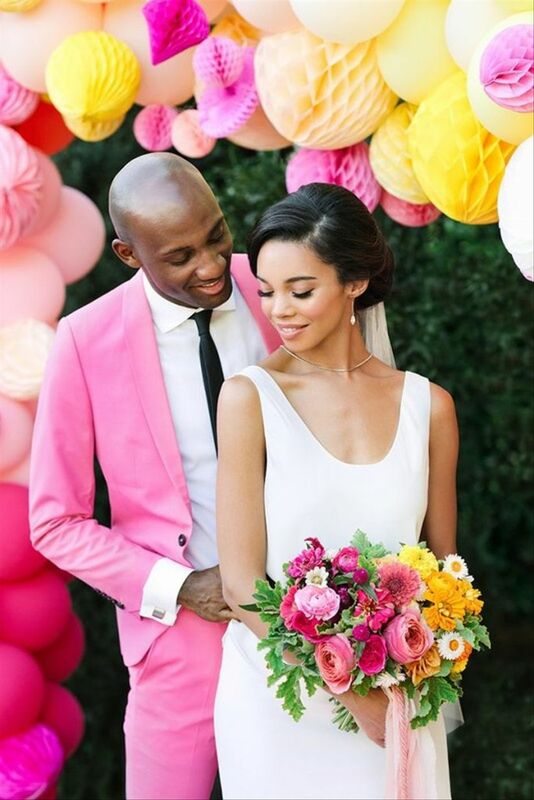 Would you dare to sport a bubblegum pink suit on the big day? This groom did! If you opt for a fashion-forward look like this, be sure to keep the style tailored and fitted with minimal accessories for the most polished effect. 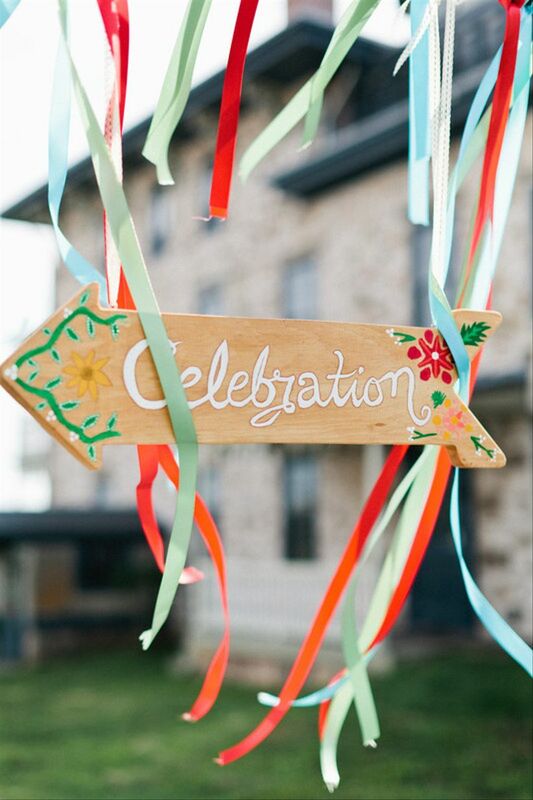 Ribbons are one of the easiest colorful wedding ideas to incorporate into your decor. Pair them with an outdoor sign and let the breeze take it from there! 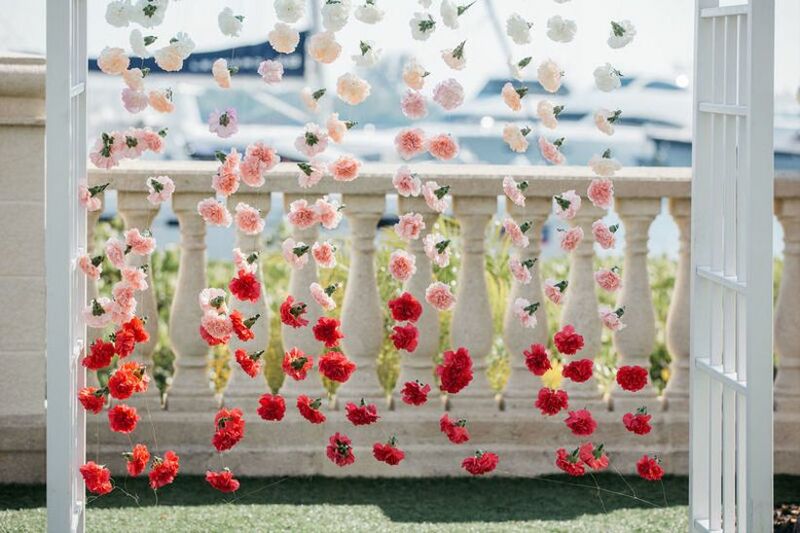 Set the scene for your vows with a curtain of carnations in an ombré color palette. 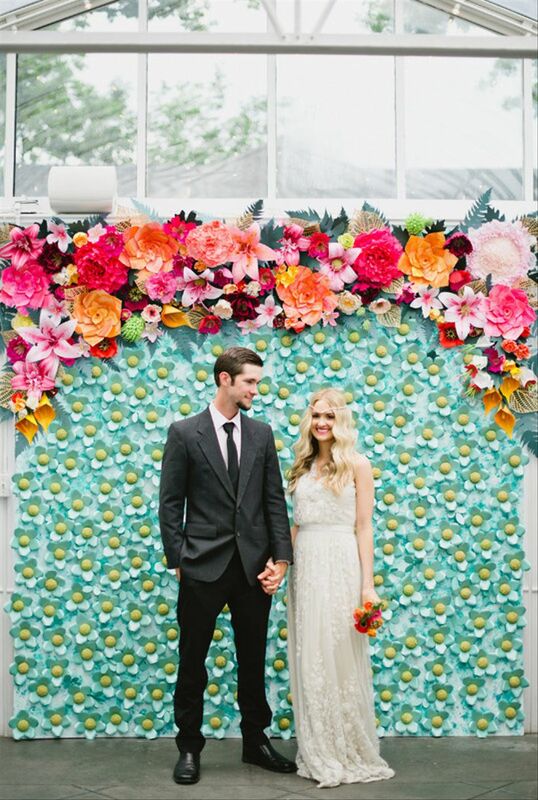 This is a relatively easy backdrop to recreate, and it looks amazing in wedding photos! 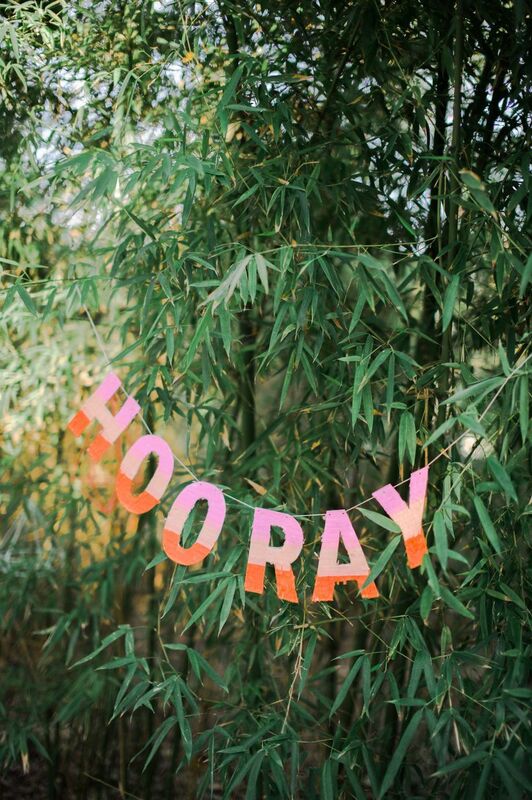 Use a celebratory banner to decorate any space at your venue that could use a bit of sprucing up. Hang it above your dessert bar, near your welcome table, or even on a blank wall as a photo backdrop for your guests. A wall of giant paper flowers makes a major statement, whether you use it at your ceremony altar or as part of your reception decor (or both, for that matter!). Add a few fresh flowers throughout the wall to give it even more detail and visual interest. Round up your wedding party and get ready to take the most 'gram-worthy pic ever! 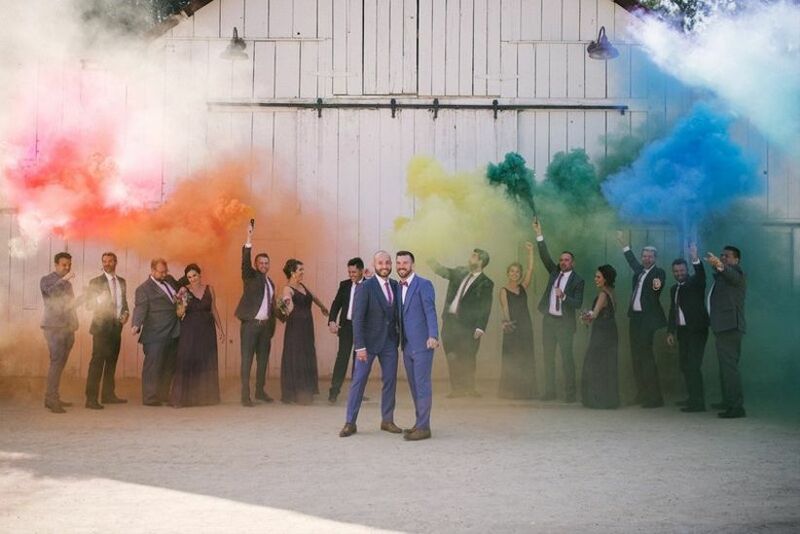 Smoke bombs are one of the trendiest colorful wedding ideas right now, and if nothing else, they're just plain fun. You can find them in a range of colors, but we love how this rainbow assortment turned out! 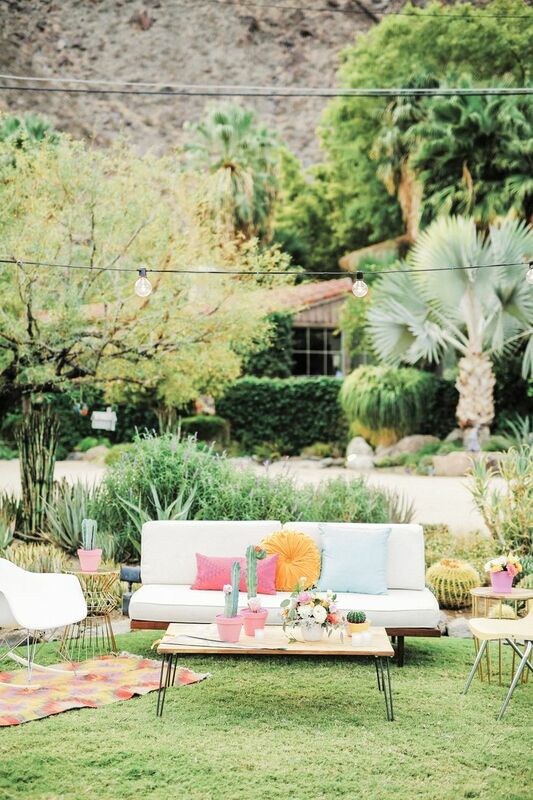 Build your wedding lounge area using stylish rental furniture, like this mix of midcentury modern pieces. Then add pops of color with throw pillows, rugs and potted plants as a fresh greenery accent. 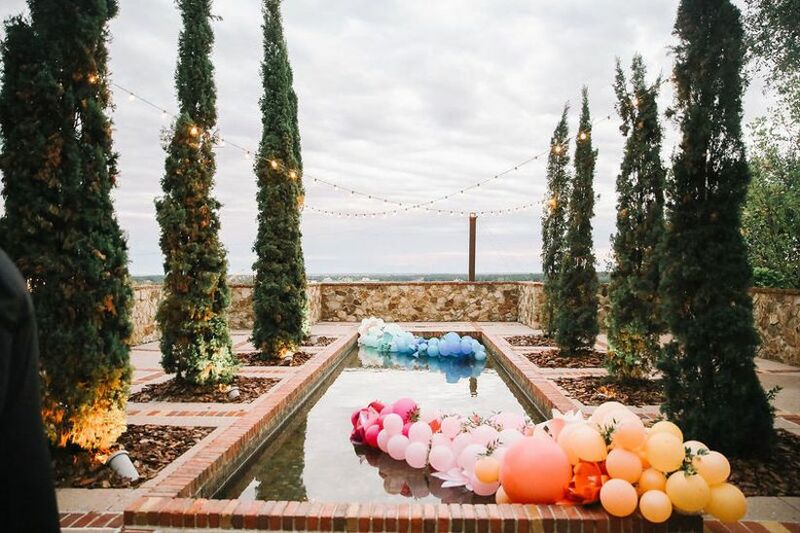 Oversized balloon installations are an out-of-the-box idea if you're looking for a creative way to fill an open space at your venue. 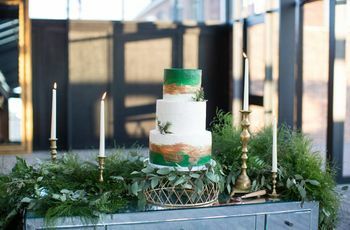 If this bold concept doesn't fall in line with your wedding day style, you could always try it at your engagement party, rehearsal dinner, or post-wedding celebration instead! Why choose just one color when you can have them all? Line your reception tables with low centerpieces featuring flowers in an ombré pattern. 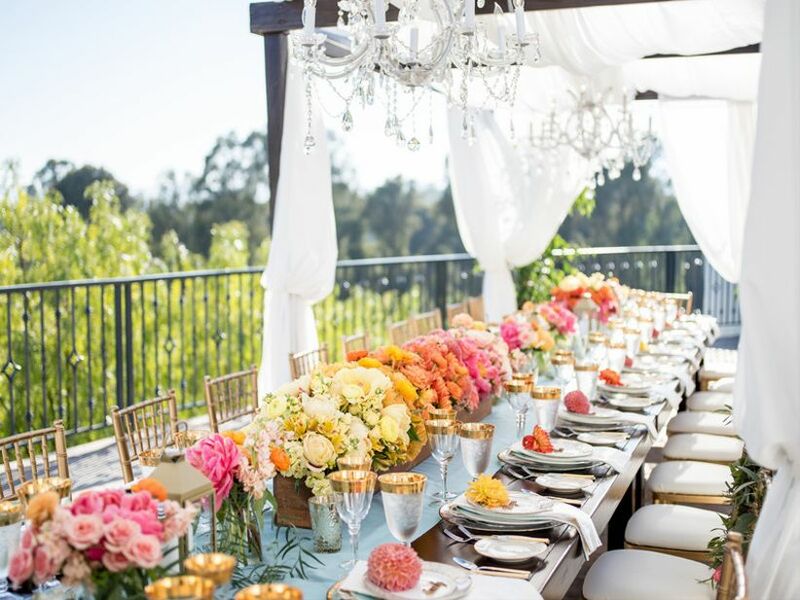 The result: one of the prettiest colorful wedding ideas we've ever seen! 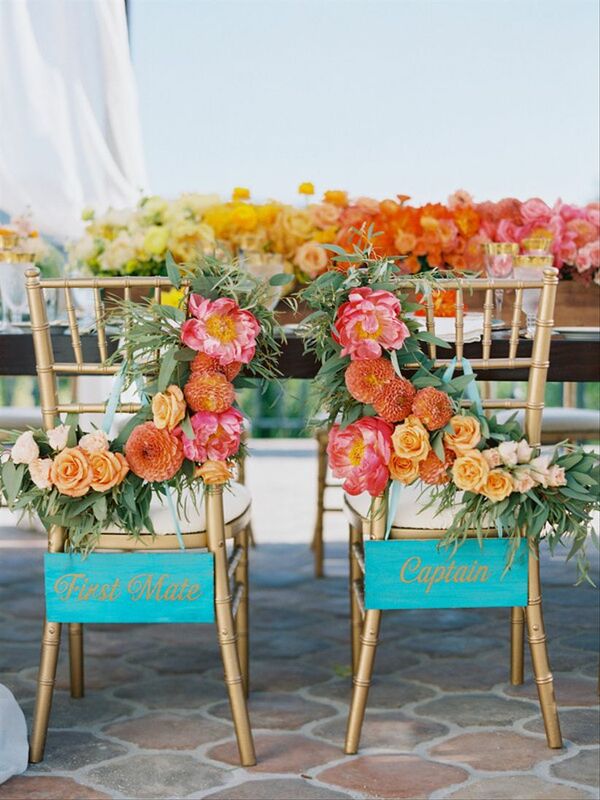 Adorn the backs of your chairs with cheerful flowers and personalized signage (like "First Mate" and "Captain" for a nautical wedding) to bring extra color to your reception space. 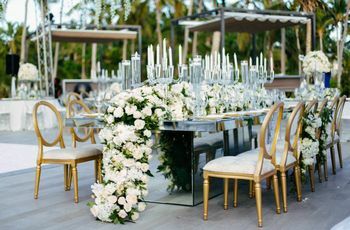 Gold Chiavari chairs + floral garlands = wedding decor goals! Don't stop at tabletop arrangements – expand your wedding decor onto the walls of your reception venue by flowers in coordinating colors. This decorative accent looks best if the walls are totally white or relatively unembellished. 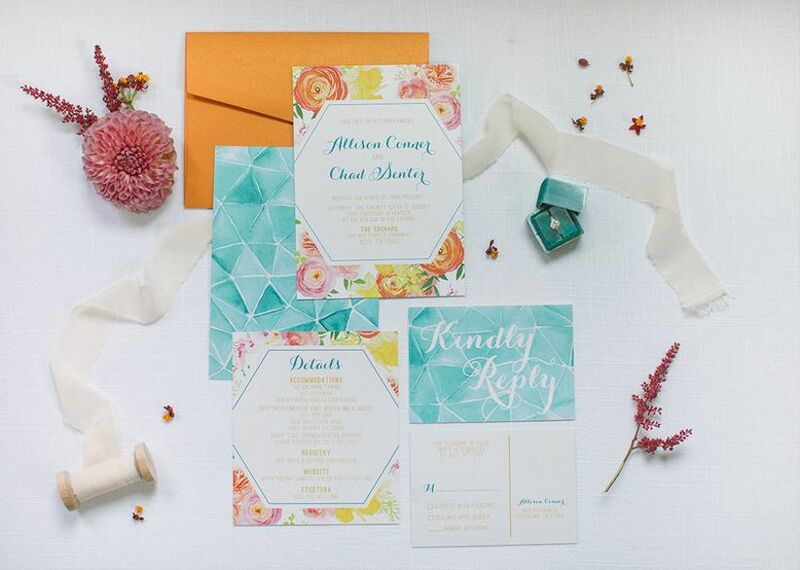 Geometric patterns and colorful wedding ideas are a perfect match. 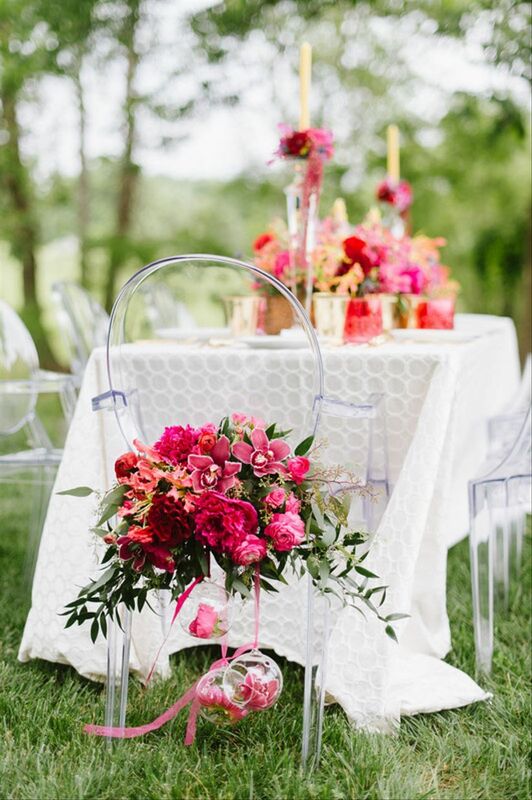 Incorporate patterned runners into your reception centerpieces to instantly zest up the tablescapes! 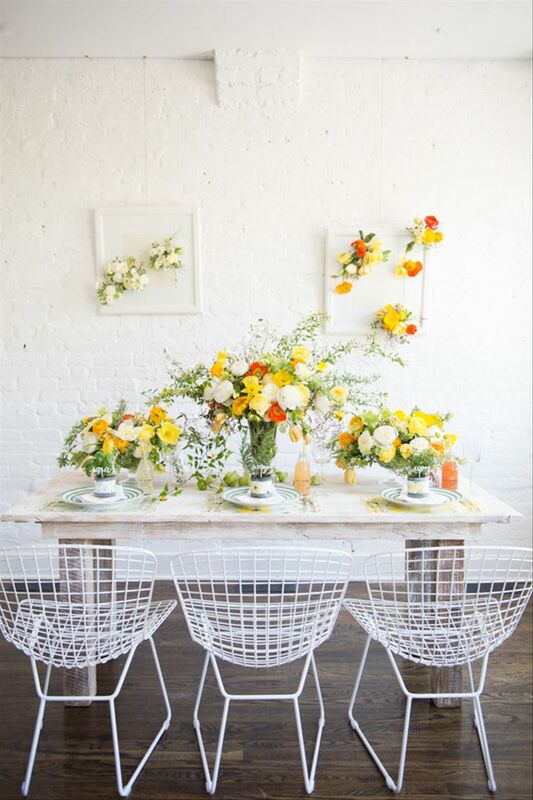 Clear acrylic details (like these ghost chairs) will fade away when paired with brightly colored accents, making the colors pop even more! 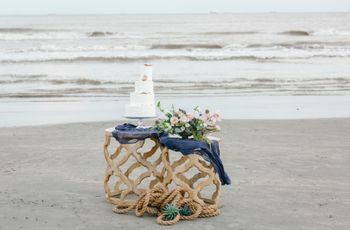 Macramé decor is the must-have detail of the moment for any bohemian wedding. 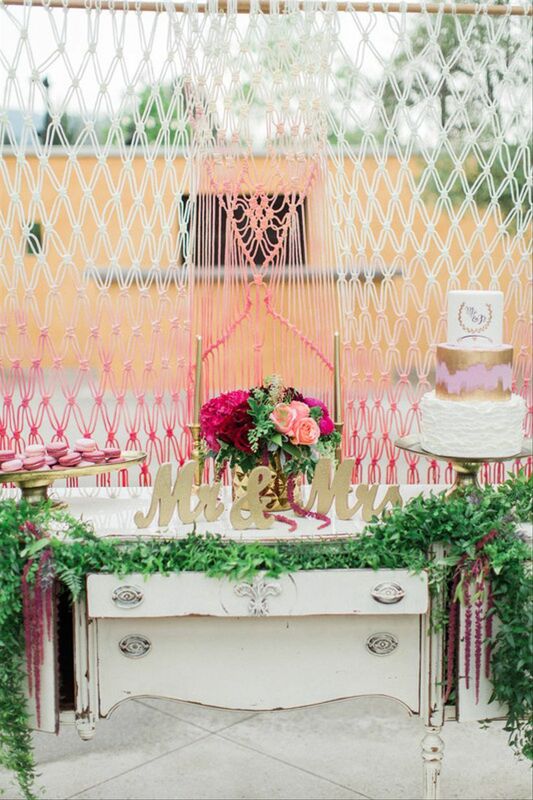 A pink dip-dye macramé backdrop is artistic and playful. Basic buttercream cake no more! 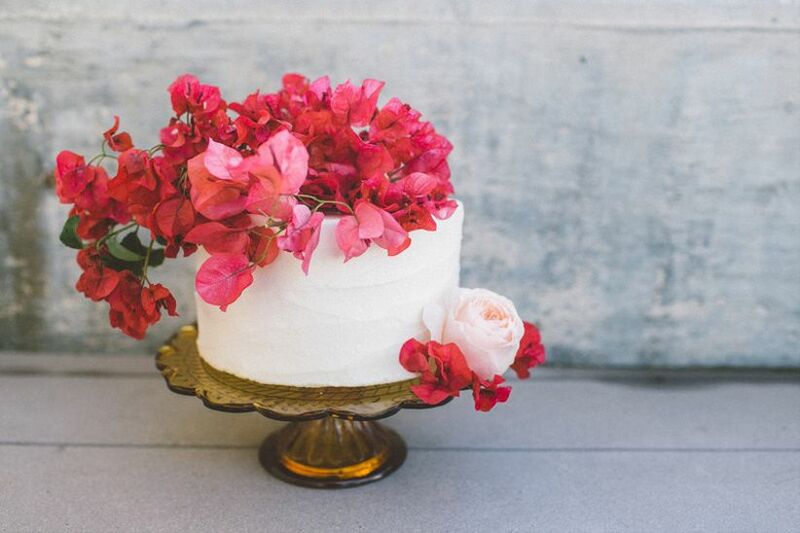 All it takes is a colorful bunch of pink bougainvillea (and one garden rose for good measure) to easily brighten up a plain white confection.